It's not so much an interview as a conversational concoction, really. 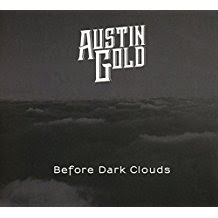 Austin Gold are a band who've been getting some attention in the 'New Wave of Classic Rock' space that's opening up, since the release of their debut album Before Dark Clouds last year. It’s the morning after the night before, when they delivered a set supporting King King at the Whitley Bay Playhouse that drew a roar of approval from a full house, and now the band members gradually assemble for a chat after scoffing their fry-up breakfasts in the Beefeater on the seafront. Rhythm guitarist Jack Cable is first to turn up and park himself across the table, and gets the ball rolling by explaining how the band originated in two separate outfits back in 2014, playing at a blues night in the North Street Bar in their hometown of Peterborough. 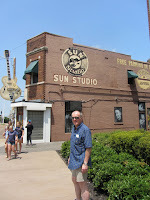 “Dave put together a band,” he says, referring to lead guitarist and singer Dave Smith, “and another friend of ours Dan Collins put together a band. Chris Ogden, our drummer, and myself were in Dan Collins’ band – I was playing bass, and Dan Collins was on guitar. And in Dave’s band there was Dave and our keyboard player Russ Hill, along with another couple of musicians, and they were called Red Wine Blues. Dave decided that he was really enjoying it, but he wanted an extra guitar – so he asked me. So I was in both bands, playing bass in one and guitar in the other. Then Dan decided he didn’t want to do it any more, but Dave was really getting into it. He said, ‘I think I could write some tunes for this, I think it could really work.’ Then our drummer left, and the obvious choice was Chris. Eventually our bass player left as well, and we knew of Lee Churchill from things he’d done before with groups of friends. And then we’ve just kind of gone on from there, with Dave writing some songs and us doing more and more of our own stuff. Along the way, he adds, their current monicker came into being. Now the interesting thing for me is that this evolution away from blues covers has resulted in a distinctive, more melodic sound. So where has that come from, I wonder. “Well, Dave’s the songwriter,” Cable says. “Dave will come in with what we call the nucleus of a song, so anything to do with lyrics or melody lines is all Dave. That’s him all day long. So he’ll bring a song to the band, and we’ll play through it, and within a couple of hours we’ll have all written our own parts around what Dave’s doing. It’s a point well made, I think, by a couple of trilling guitar lines Cable delivers on ‘Roadside’ and ‘See The Light’ that counterpoint the main riff. Before seeing them live I’d been convinced I was hearing a synthesizer, but it turns out to be the way Cable conjures an unusual tone with the aid of a fuzz box. But sometimes a key contribution is not to play something, it seems. Serving the song is a sentiment that’s music to my ears, as it were. I wish that more people did it. Cable reckons in their case it’s a function of Dave Smith’s writing style. The end result is a sound that doesn’t make for simple comparisons. Listening to their album Before Dark Clouds I’ve often asked myself who they remind me of, and not found easy answers. Luke Morley of Thunder’s ‘other band’ The Union sometimes springs to mind, and going backaways even the likes of UFO. But the band that Austin Gold sound most like is – well, Austin Gold. And they don’t fit the typical blues rock template. “No,” Cable agrees. “It’s hard to put a label on what we actually are! “Melodic hard rock?” I suggest. 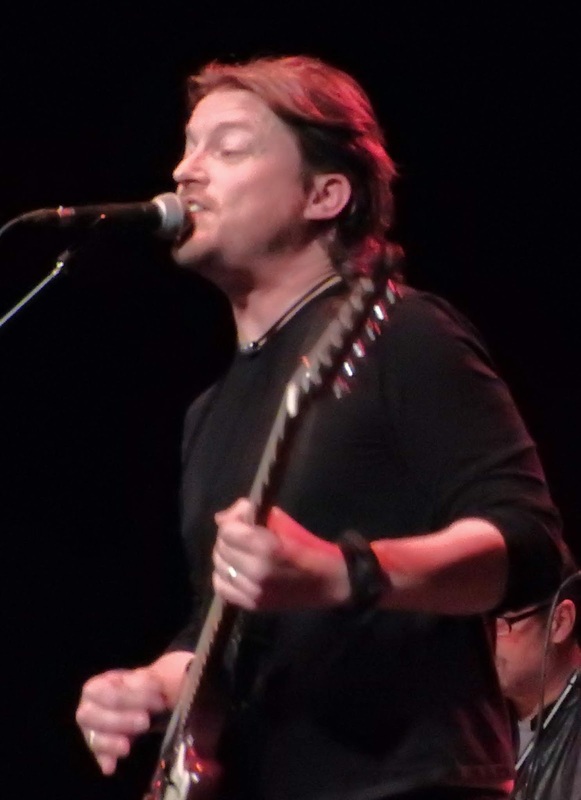 As the rest of the band roll in and join us, the conversation turns to the previous night, and the surprise they got coming onstage to be greeted by a full house, when they were expecting to find about 50 people in their seats. So was supporting King King a learning experience? “We’ll have that!” Smith nods. “That’s what I said,” says Cable. Since Dave Smith is now in the company, it seems like time to get his take on the band’s sound, given that he’s the main writer. So what’s inspired him? “Cheers!” says Cable, presumably the leading Tom Petty fan in the band. Eh? Now, of all the styles I might ascribe to Austin Gold, Americana is not one of them. It turns out what they mean is a hint of Southern rock, suggested by the impressively intertwined guitar face-off Cable and Smith go for on set closer ‘See The Light’. The comparison still tickles me though, because as Skynyrd impersonators I reckon they’d make a very good Wishbone Ash. Austin Gold are a band whose sound seems to me as British as the North Sea backdrop to the photographs we do before parting company. In a good way, I should stress. We finish up with some chat about them recording a new album later in the year, for release in 2019, and forthcoming gigs and festival appearances they have scheduled. 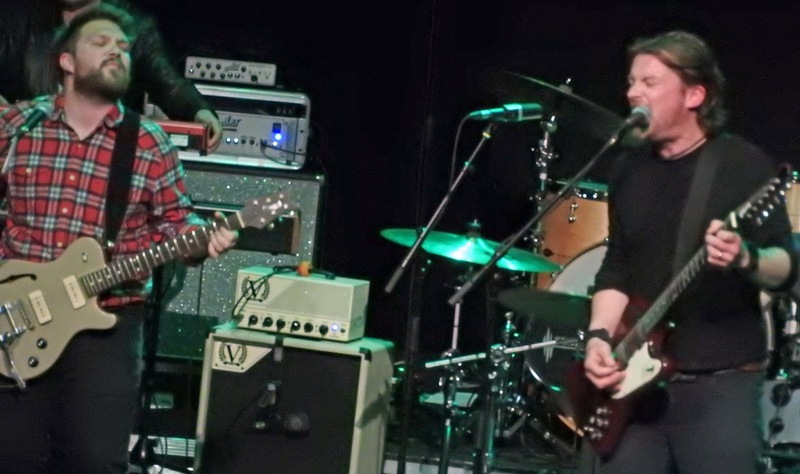 But as Cable says, their immediate future is to get some more support slots like this one with King King, to build their audience on the strength of the current album. Here’s hoping they get them – they’re a band that deserve to be heard.